It is not very often you pass by a store and it not only catches your eye but tugs at your heartstrings! 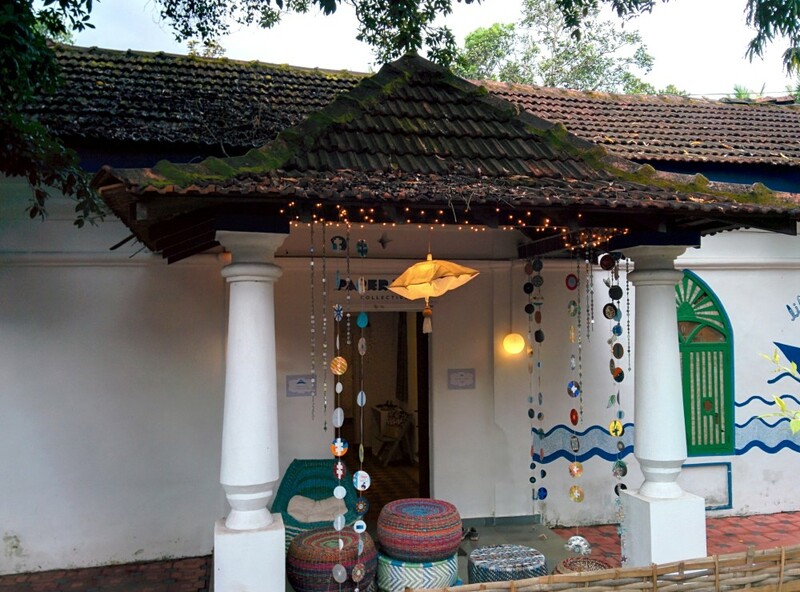 On my way from and to Panjim, I would look at this quaint Portuguese house with green and ivory windows, painted white and Paperboat Collective written on it in blue. I was pleasantly surprised to find a delightful concept store with beautiful, hand crafted products from independent labels across the country. 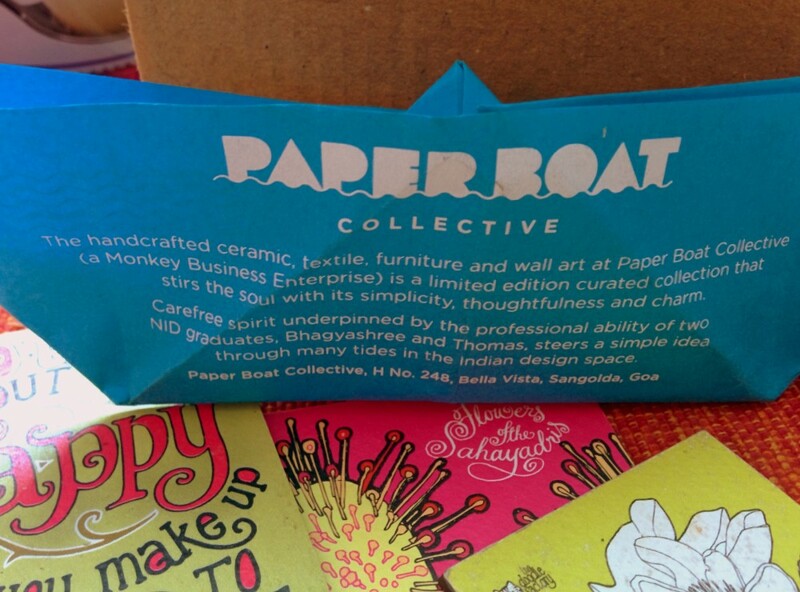 Paperboat Collective is the brainchild of two NID designers, Bhagyashree and Thomas, and what a splendid spin to a simple idea! Little paper boats in blue welcome you to the store near the entrance. 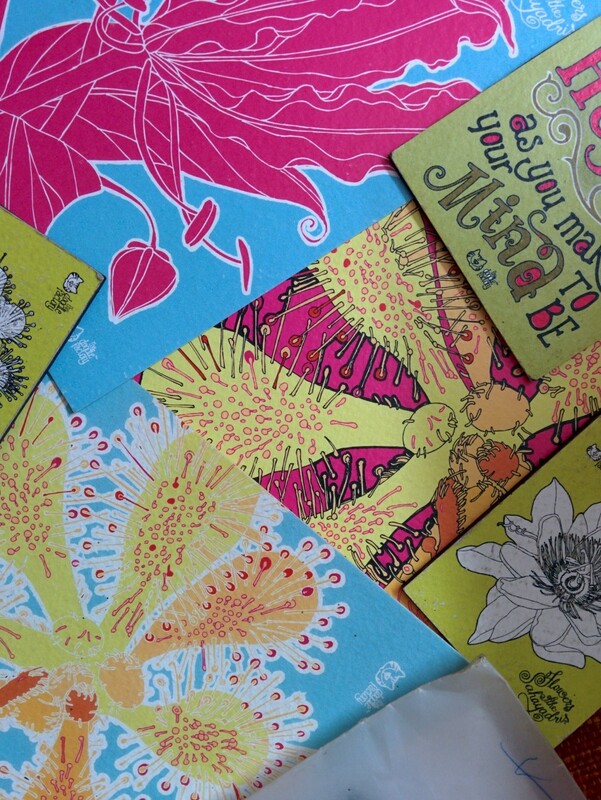 There is also a space for cards and leaflets about other events in Goa. As I walked leisurely across the store, browsing beautiful and one-of-a-kind products, I had The Beatles for company, playing my favourite songs in the background. Music always puts me in a good mood, and when in a good mood, I must shop! 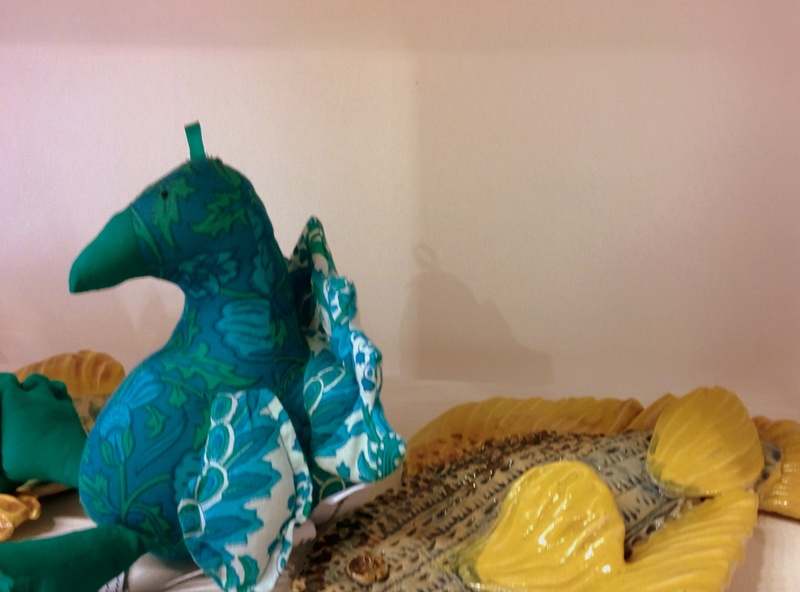 My first stop was at the beautiful ceramic fish and a starfish too, but unfortunately I could not pick that up! Baggage and transit issues! 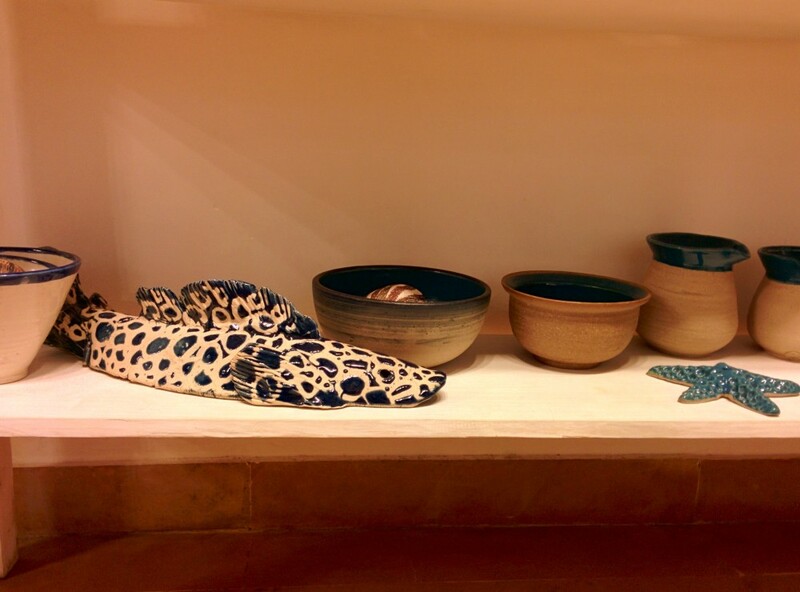 In addition to the fish, there were gorgeous hand crafted bowls and platters in beautiful colours, courtesy Monkey Business. 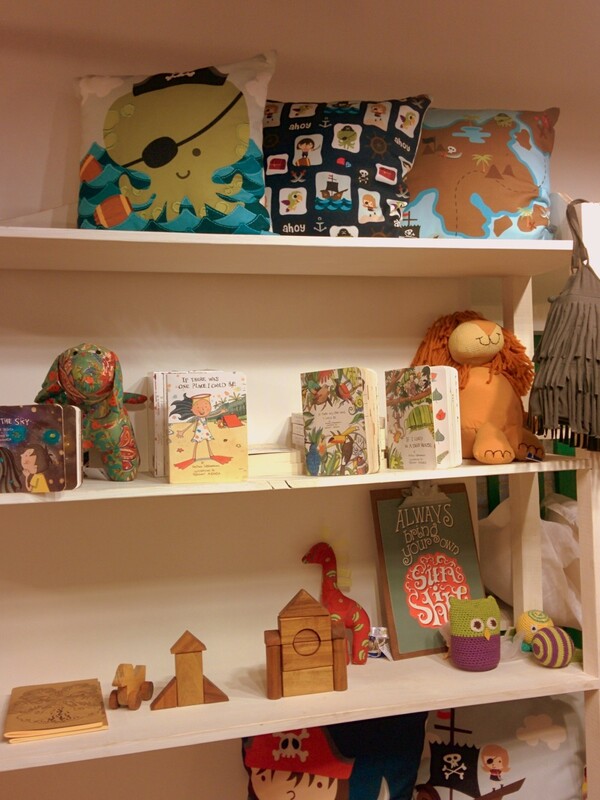 There is a lovely selection of books for kids by Little Latitude. Beautifully illustrated and very well written, these books will surely steal your heart. Your kids will love them too, of course. The stuffed toys and cushions looked a lot like they were from Sotomoto, but I am not too sure of that. As you’re browsing for the kids, you can’t help but move swiftly towards the lovely bags on display – October bags in beautiful Indigo, tie-n-dye, ikat and leather. They’re not only good to look at, they’re high on the utility and convenience quotient too! 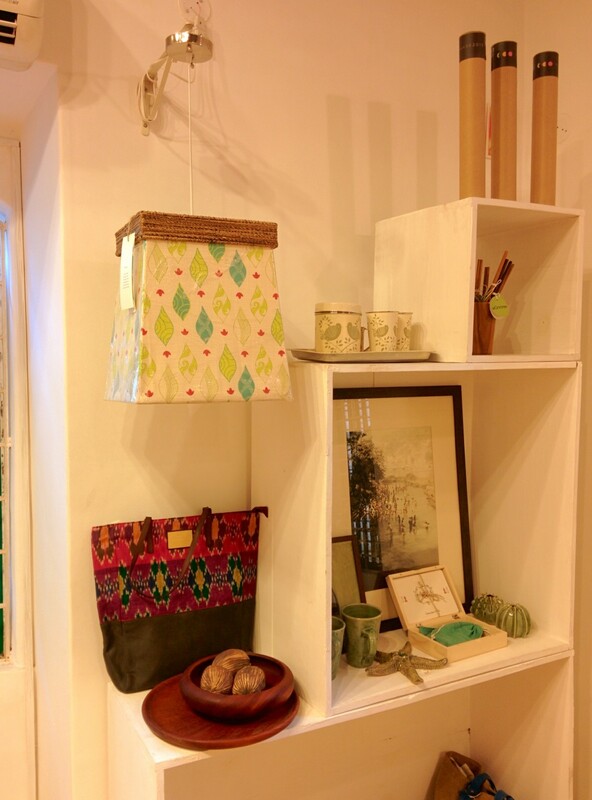 Another lovely collection of bags is from Mudhouse! Mudhouse has a lovely collection of footwear too. One of the things we had reviewed in our Things we love section. 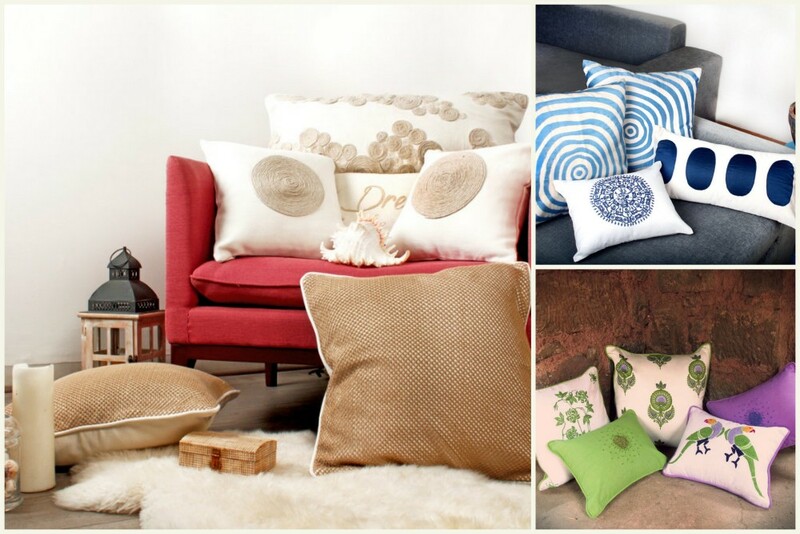 I loved the collection of cushions by Monsoon and Beyond! Elegance in simplicity is how I would describe the collection! 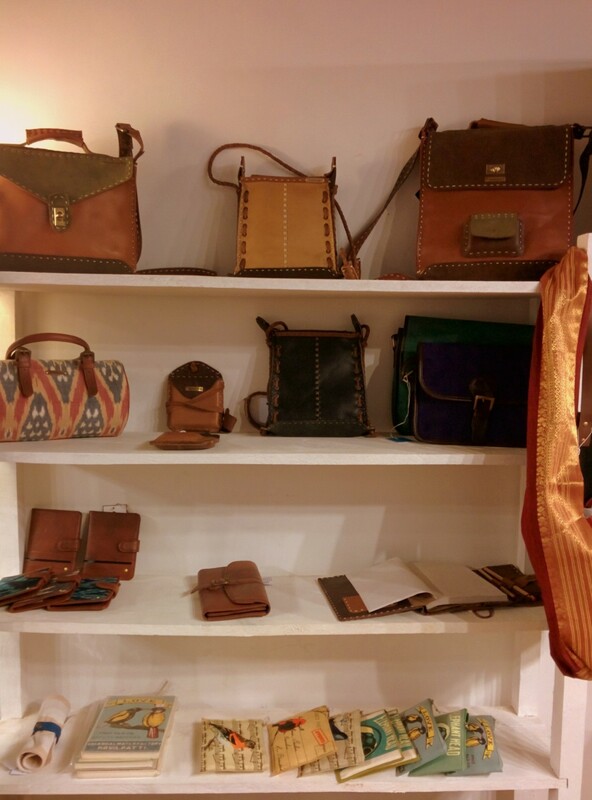 Do check out their collection online, and some of them are surely going to make it to your ‘I Want’ list! If you’re looking for clothes with a conscience, clothes that have been crafted with love and with a ‘kind to all’ philosophy, you’re surely going to love the collection of apparel by Atelier OM at Paperboat Collective. 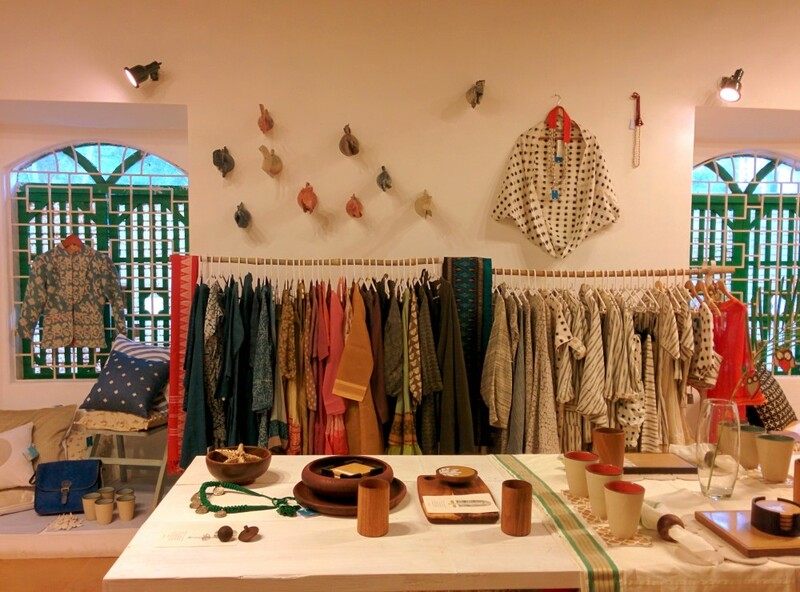 Subtle, graceful and with a heart – these clothes will change your perception of Khadi! A stylish and beautiful collection! There is so much more that this lovely store has to offer that you’re either going to be confused about what to pick/ leave or end up spending a big amount that you didn’t plan for! The stuff is so well thought out and displayed that sometimes it feels (and I say this at the cost of being overly dramatic) as if it’s shouting out to you – ‘hey! pick me up’. Great work! Their online store should be coming up soon. 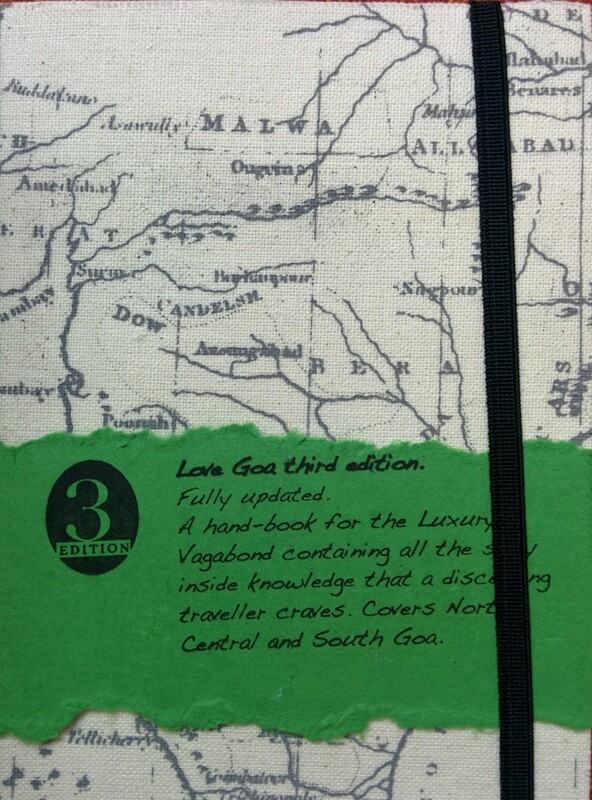 If you’re heading to Goa, definitely visit them.